Hooray!!!!! I am PUBLISHED !!!!!! Hello everyone!!! I know I’m horrible about the blog thing, but I’ve been extremely busy. 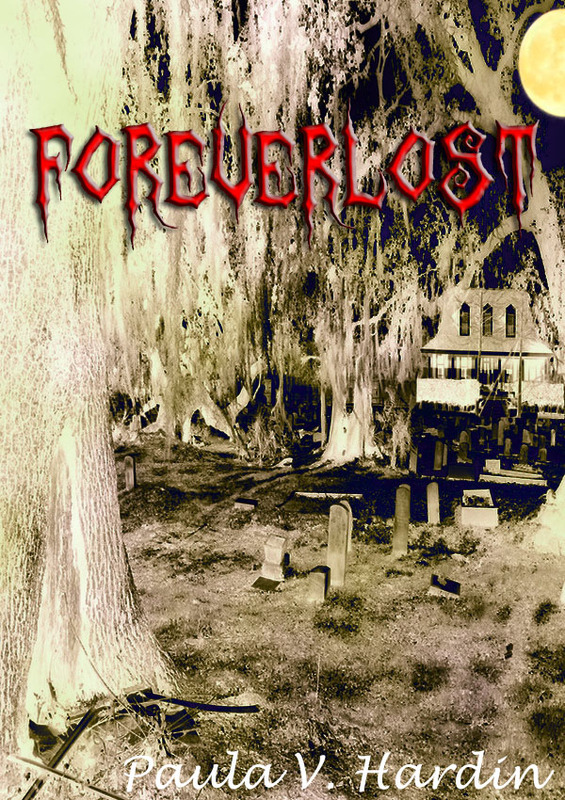 I’ve decided to self publish one of my stories Forever Lost. 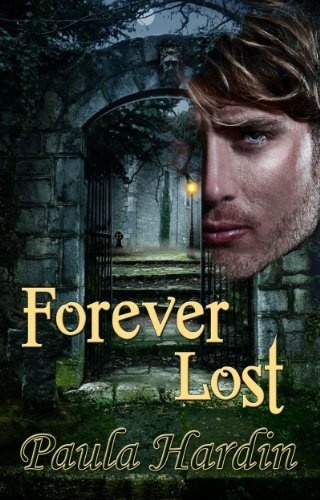 Here is my book cover we created ourself with the help of my fabulous talented husband. 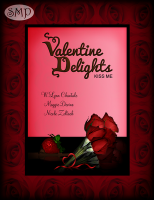 If everything goes right it should be up and running this weekend on Amazon, and Barnes and Nobles. If not, it’ll be really soon. What I didn’t know is that my sister in law host a blog live radio site and has asked me for a interview. So, I’ll be online tomorrow night at 10pm., at Live After dark. I’ll also plug in our conference for next month. IF anyone knows me, you’ll know I only use apple/mac book computers, ipad, ipod, and working on getting the iphone. Here is a new method for self publishing… Enjoy..
Apple Reinvents Textbooks with iBooks 2 for iPad New iBooks Author Lets Anyone Create Stunning iBooks Textbooks NEW YORK—January 19, 2012—Apple® today announced iBooks® 2 for iPad®, featuring iBooks textbooks, an entirely new kind of textbook that’s dynamic, engaging and truly interactive. iBooks textbooks offer iPad users gorgeous, fullscreen textbooks with interactive animations, diagrams, photos, videos, unrivaled navigation and much more. iBooks textbooks can be kept up to date, don’t weigh down a backpack and never have to be returned. Leading education services companies including Houghton Mifflin Harcourt, McGraw-Hill and Pearson will deliver educational titles on the iBookstore℠ with most priced at $14.99 or less, and with the new iBooks Author, a free authoring tool available today, anyone with a Mac® can create stunning iBooks textbooks. “Education is deep in Apple’s DNA and iPad may be our most exciting education product yet. With 1.5 million iPads already in use in education institutions, including over 1,000 one-to-one deployments, iPad is rapidly being adopted by schools across the US and around the world,” said Philip Schiller, Apple’s senior vice president of Worldwide Marketing. “Now with iBooks 2 for iPad, students have a more dynamic, engaging and truly interactive way to read and learn, using the device they already love.” The new iBooks 2 app is available today as a free download from the App Store™. With support for great new features including gorgeous, fullscreen books, interactive 3D objects, diagrams, videos and photos, the iBooks 2 app will let students learn about the solar system or the physics of a skyscraper with amazing new interactive textbooks that come to life with just a tap or swipe of the finger. With its fast, fluid navigation, easy highlighting and note-taking, searching and definitions, plus lesson reviews and study cards, the new iBooks 2 app lets students study and learn in more efficient and effective ways than ever before. iBooks Author is also available today as a free download from the Mac App Store and lets anyone with a Mac create stunning iBooks textbooks, cookbooks, history books, picture books and more, and publish them to Apple’s iBookstore. Authors and publishers of any size can start creating with Apple-designed templates that feature a wide variety of page layouts. iBooks Author lets you add your own text and images by simply dragging and dropping, and with the Multi-Touch™ widgets you can easily add interactive photo galleries, movies, Keynote® presentations and 3D objects. Apple today also announced an all-new iTunes® U app giving educators and students everything they need on their iPad, iPhone® and iPod touch® to teach and take entire courses. With the new iTunes U app, students using iPads have access to the world’s largest catalog of free educational content, along with over 20,000 education apps at their fingertips and hundreds of thousands of books in the iBookstore that can be used in their school curriculum, such as novels for English or Social Studies. * The iTunes U app is available today as a free download from the App Store. *Some content is available only for iPad. Apple designs Macs, the best personal computers in the world, along with OS X, iLife, iWork and professional software. Apple leads the digital music revolution with its iPods and iTunes online store. Apple has reinvented the mobile phone with its revolutionary iPhone and App Store, and is defining the future of mobile media and computing devices with iPad.